When it comes to being the leader in San Jose, there’s no such thing as an ordinary Joe. There’s a plain and simple truth served up by Chris Tierney when it comes to speaking about his teammate and captain Joe Pavelski, a man whose nicknames include The Truth. Pavelski has also got game. Taken in the seventh round of the 2003 NHL Entry Draft, the now 33-year-old forward boasts eight seasons of 20 or more goals, including a 41-goal campaign in 2013-14, along with three others seasons of 30-plus tallies. In 806 regular season NHL games, Pavelski, who scored in his first big-league contest, has 631 points. Tierney, who began his NHL career in 2014-15, appearing in 43 games with San Jose, knows just what he and his teammates can expect from Pavelski every night. It was something he noticed the first time he saw No. 8 take a shift. “He is a big-time player and shows up when we need him the most,” praised Tierney, of Pavelski, who was named the ninth full-time captain in Sharks history on October 5, 2015. Those traits were taken into consideration by Team USA brass prior to the start of the 2016 World Cup of Hockey. While the team failed to fire at the tournament won by the Canadian side, Pavelski was a well-received choice to wear the ‘C’ on his sweater. He represented the U.S. at the 2014 Olympic Winter Games in Sochi, Russia, and was a member of the silver medal-winning U.S. Olympic Men’s Ice Hockey Team at the 2010 Olympic Winter Games as well as the 2009 U.S. Men’s National Team. 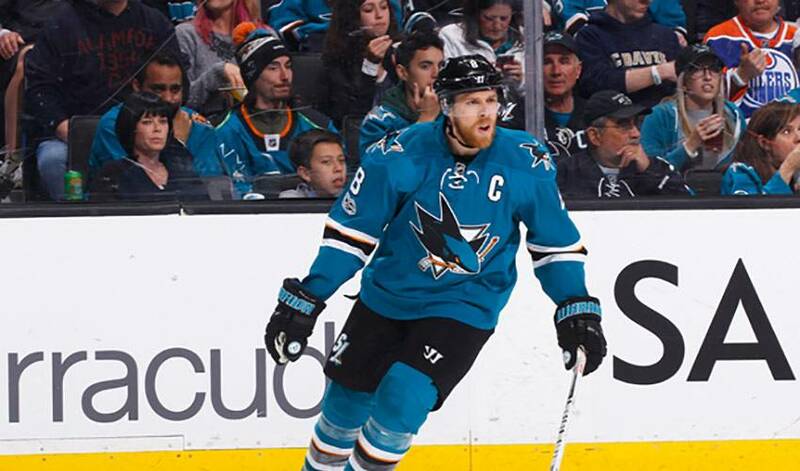 Pavelski’s next task as a captain will be to help lead the Sharks to the NHL’s promised land. A Stanley Cup finalist in 2015-16, San Jose was a first-round casualty last season, ousted in six games by the Edmonton Oilers. No need to ask if Pavelski, who has recorded 84 points in 111 NHL playoff games, will be ready to lead the way in 2017-18. Pavelski is also constantly seeking ways to raise the bar when it comes to his own game and that of his teammates. “He is always trying to make you and himself better,” said Tierney.